Billionaire Mikhail Prokhorov, who is running for president in March, has said his campaign rhetoric will not be based on harsh criticism of his competitor, Russian Prime Minister Vladimir Putin. The businessman-turned-politician said that he wanted to be different “from all those cheap populists and all those 'Duma elders', who actually work for the Kremlin," cited Interfax. “Is there really anyone who doesn’t know what’s going on in our life? Is this criticism really interesting to anyone?” he asked, adding that he would be a lot more interested in listening to ideas concerning what should be done in order to change the situation. 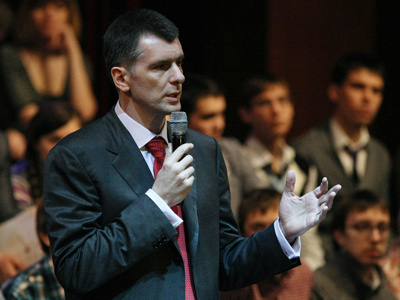 Later, speaking at a media conference, Prokhorov pointed out that he does not like the slogan “Russia without Putin”. "I believe that Russia should be with Putin, [renowned Russian journalist Leonid] Parfyonov, [anti-corruption campaigner and blogger Aleskey] Navalny, Prokhorov and all of us," he said. 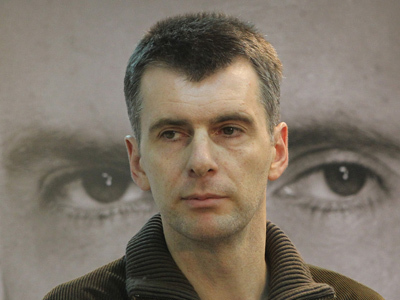 The billionaire agreed that when he criticizes the political system in Russia, he is also criticizing the PM.However, he stressed that the current system is not the sole creation of Putin, rather, “all of us, voters, are to be blamed for that.” Prokhorov acknowledged that the premier has both achievements and drawbacks to his name, and the billionaire has much to criticize him for. Nevertheless, he does not want to build his program on confronting anyone. 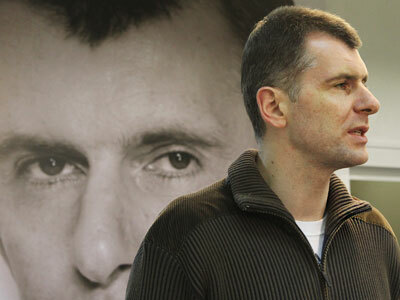 Still, if Prokhorov wins the March poll, he said he would not invite Putin to work in the government. Opposition leaders Boris Nemtsov and Mikhail Kasyanov would not be welcome either. If he fails to make it to the Kremlin, the billionaire plans to create a political party. “If I get over 10 per cent of votes, I have every right to form a political party headed by me,” Prokhorov said. If he gets fewer votes, he plans to co-chair a new party with other candidates or politicians. 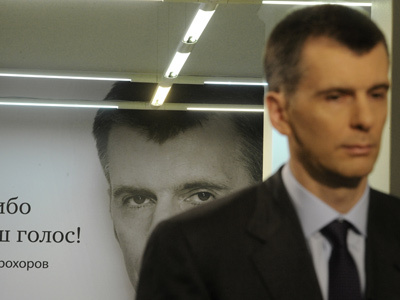 Meanwhile, Prokhorov may be officially registered as a presidential candidate later in the week. Under the law, a candidate must collect the signatures of at least two million supporters and submit them to the Central Election Commission (CEC). The number of invalid signatures must not exceed 5 %. 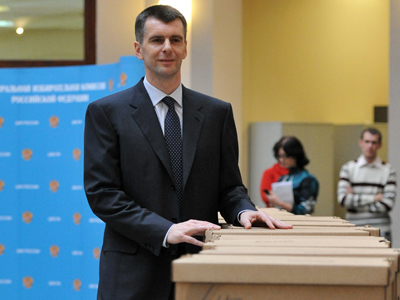 A source at the CEC told Interfax that a check of the signature lists had revealed an acceptable number of flaws and Prokhorov would soon be named a lawful candidate.